July 9, 2017 – National Sugar Cookie Day – Day 242 P.E (Post Election). Before the G-20, Trump stopped by Poland and made quite the impression. He refused to pin U.S. election tampering on Russia, saying, “I think it was Russia. I think it was other countries as well. No one really knows.” He also found time to attack former President Obama, the U.S. intelligence community, and the American press. So much for spreading American values overseas. At a photo op, Trump had a good laugh when Putin pointed to the press and said, “These are the ones who insulted you?” As a reminder, Putin has journalists and political opponents murdered. Trump and Putin’s scheduled 30-minute meeting actually went over 2 hours. Since Trump doesn’t know enough to fill 2 minutes and has a history of jabbering on about U.S. classified information, that’s troubling. Trump was chaperoned only by Secretary of State Tillerson in the meeting. Russia gave its official statements following the meeting on-camera. Tillerson gave an off-camera briefing. The U.S. was less transparent (and some would say less believable) than Russia. 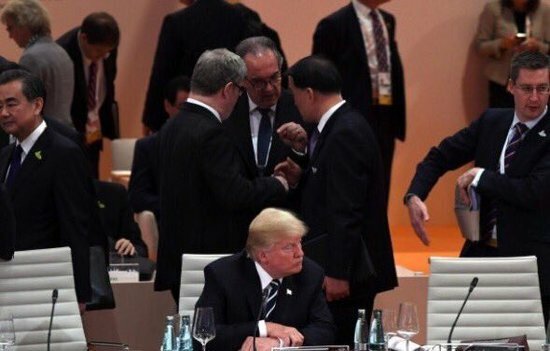 Trump did not hold a press conference during the G-20, unlike most leaders. Also, unlike any democratic leaders probably ever, Trump had his daughter Ivanka sit in for him during the G-20 summit. She was right there next to Chinese President Xi Jinping. 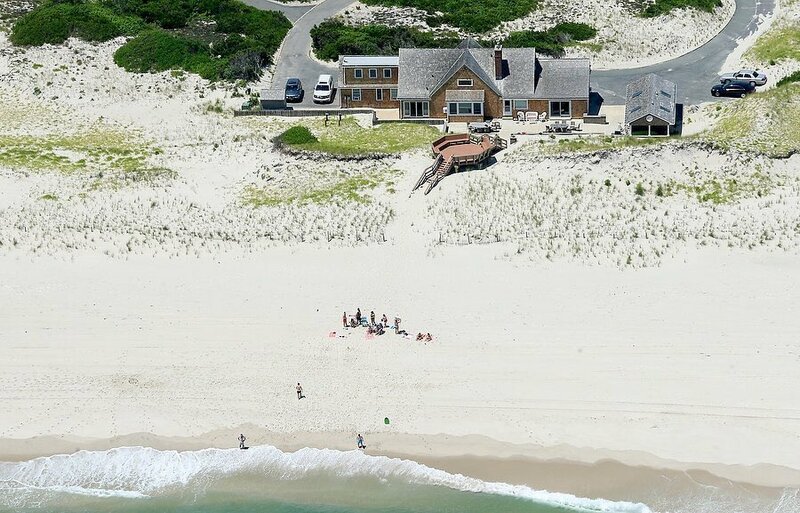 It’s unclear where Trump was, perhaps he had an early tee time. If say Chelsea sat in for Hillary or Michelle sat in for Barack, both of whom would actually be qualified to do so, Republicans would have started impeachment hearings within 24 hours. What did all of Trump’s terrible diplomatic work result in? Partnership with Russia on cybersecurity – What??? The Senate is back from its July 4 recess and now have three weeks before the August recess, because working for one whole month straight is just too much to ask. Mitch McConnell (R-KY) is making one last push to pass the Republican health care plan. Trump and Vice President Mike Pence will join McConnell in arm twisting. Since Trump doesn’t understand what’s in the health care bill and Pence wrote an editorial that argued “smoking doesn’t kill”, I’m not expecting their arguments to be grounded in solid public health policy. On the other side, the AARP announced this week that it has made significant advertising buys in Alaska, Colorado, Nevada, Ohio, and West Virginia to keep pressure on the Republican senators in those states to vote against the bill. As no one has made a compelling argument for the Republican plan (and its strongest advocates have relied on simply lying about it), there are whispers around the Senate, including from Republican Senators Collins (ME) and Murkowski (AK) of, dare I say, a bipartisan approach to stabilize the Affordable Care Act. The Center for American Progress drafted an interesting plan that could accomplish that. Republican hopes of a full repeal and replace seem to be relying on a proposed amendment by Senator Ted Cruz (R-TX) which would allow insurance companies to sell cheap health plans that do not conform to current ACA requirements. This would make health insurance more accessible to people than in the current Senate plan, but, spoiler alert, that insurance would be junk – likely not covering things like maternity care and cancer treatment. McConnell is apparently counting on Cruz to sell his amendment personally, which is an odd strategy since Cruz is despised by everyone. Fellow Republican Senator Lindsey Graham (SC) noted, “If you killed Ted Cruz on the floor of the Senate, and the trial was in the Senate, nobody would convict you.” And Graham actually endorsed Cruz over Trump! The New York Times reports that on June 9, 2016, Donald Trump Jr., Jared Kushner, and Trump’s campaign manager, Paul Manafort met in Trump Tower with Russian lawyer Natalia Veselnitskaya after promise of damaging information on Hillary Clinton. She’s “linked to [the] Kremlin” like Tom Hagen was linked to the Corleone family. Veselnitskaya specialty is lobbying against the Magnitsiky Act, a U.S. law that blacklists Russian human rights violators. Donnie Jr. and friends are evidently employing Jake Blues as their defense attorney to explain this previously undisclosed meeting. They have gone from saying they “never met the Russians” to I “was not told the name of the person I would be meeting with” to it was “just a meeting to talk about Russian adoptions” to “maybe the Democrats set-us up!” Yeah, that’s the ticket, the Democrats. Spending my 4th in meetings all day. #ThanksNorthKorea – U.S. Ambassador Nikki Haley complaining on Twitter about having to do her job after North Korea tested a ICBM. Look, I didn’t expect Donald Trump to win, I think most of my colleagues didn’t, so we didn’t expect to be in this situation. – Senator Pat Toomey (R-PA) on why Republicans didn’t bother to actually have a new health care plan ready. Under President Donald Trump, American security will be as dominant in the heavens as we are here on Earth. – Vice President Mike Pence, in a speech about Mars, lets archangel Gabriel know that ‘Merica is coming for him. Here’s a little economics lesson: supply and demand. You put the supply out there and the demand will follow. – Energy Secretary Rick Perry showing off the limited understanding of economics he gained while earning a D in the subject at Texas A&M. This Terrible Sitcom Now Has a Theme Song – The First Baptist Dallas Choir composed and performed an ode to Dear Leader called “Make America Great Again.” Trump tweeted the theme out to everyone on the nation’s birthday and then used it again as the music for his high school reunion qualityslideshow of the G-20 Summit. No Room at the Inn for the Anti-Christ – Trump’s elite team, who millions believed could solve all of America’s problems, failed to reserve hotel rooms for the U.S. delegation for the G-20. Trump had to crash at the Hamburg guesthouse, while his staff luckily found room at the U.S. Consulate on Airbnb. How Many Bannons Does It Take to Screw America’s Image in Poland? – Prior to the G-20 Summit, Trump stopped in Warsaw. Rather than bringing the light of the Statue of Liberty with him, he brought the white nationalist darkness of Steve Bannon and Stephen Miller. Trump was the first president since 1989 to visit Warsaw without visiting the Warsaw Ghetto memorial. Then, taking a page out of the authoritarian handbook, the ruling right-wing party in Poland (personally, I think with team Trump’s encouragement) bused in people to cheer Trump on during his speech. A U.S. confederate flag was displayed prominently in the audience. The official U.S. government transcript of the event made sure to highlight that multiple times the audience chanted “Donald Trump”. Finally, Trump’s speech itself made little mention of fighting for democracy or freedom or universal human rights, but rather spoke of “our civilization” and the threats of outsiders trying to destroy “the West”. From The Atlantic, read Peter Beinart’s “The Racial and Religious Paranoia of Trump’s Warsaw Speech” and what it means to the image of the U.S. globally. MO minimum money MO problems – The Republican-controlled legislature of Missouri is requiring the city of St. Louis to roll back its minimum wage from $10/hr to $7.70/hr. This is the latest example of Republican legislatures ignoring the core conservative belief in local control to punish Democrat-led cities. DeVos for DeVry – Nineteen state attorney generals, all Democrats, are suing Education Secretary Betsy DeVos. DeVos suspended new rules, which were to go in effect on July 1, that protect students from fraud by for-profit colleges, you know, for example, Trump University. Capturas-22 – This week’s immigration enforcement injustice of the week is that U.S. immigration officials are trying to deport kids who are concurrently being evaluated by another branch of Department of Homeland Security to determine if the kids qualify for humanitarian protection and a green card. Take a moment and read this outstanding piece on a Muslim doctor in rural Minnesota trying to educate the community on who Muslims are: “In a Midwestern town that went for Trump, a Muslim doctor tries to understand his neighbors”. 95-year-old Carl Reiner tries to convince 81-year-old Supreme Court Justice Anthony Kennedy that some of his best working days are still in front of him: “Justice Kennedy, Don’t Retire”. Net neutrality, the principle that all information on the Internet should be treated equally, is under threat from the Republican controlled FCC. 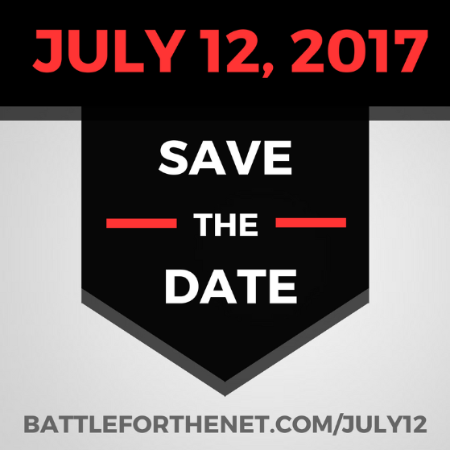 On July 12, join a wide variety of organizations like Netflix, Amazon, Change.org, CommonCause, reddit, and even PornMd to bring attention to threat of allowing Internet Service Providers to slow down or block websites.